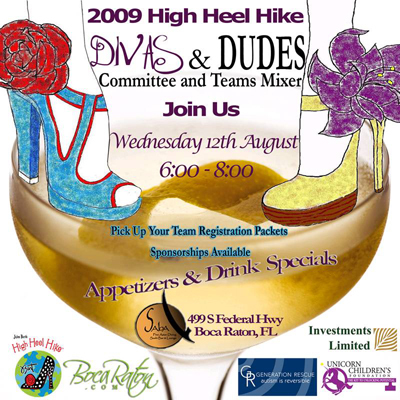 Become a member of the inaugural Boca Raton High Heel Hike Board of <?XML:NAMESPACE PREFIX = O />Divas & Dudes. Learn how to create a team of individuals or for your organization. Sponsorship opportunities and fundraising ideas will be shared. Meeting will begin at 6:30pm.